Mill Lake Books was launched September 1, 2012 by James R. Coggins. It publishes primarily paperback books, including novels, biographies and Christian books. The long-term goal is that Mill Lake Books will operate somewhat like a writers’ cooperative, providing an umbrella under which books can be published. Currently in Canada, the publishing industry is set up in such a way that almost everybody makes money except the writer. That has to change. Writers cannot go on indefinitely working hard and losing money. Mill Lake Books is named after Mill Lake Park in the centre of Abbotsford, which figured prominently in Coggins’s 2005 novel Mountaintop Drive (Moody Publishers). 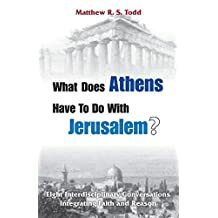 Tertullian (c. 160-240 AD) expressed concern over the yoking of faith and reason in his famous question: “What is there in common between Athens and Jerusalem? What between the Academy and the Church?” This question is woven throughout this volume, in which every chapter explores the linkages between faith and reason. While accepting that the existence of God cannot be conclusively proven—or disproven—this book offers an apologetic for the plausibility of the existence of something more than just a material world. This book is a compilation of personal narratives built around Matthew Todd’s life as a husband, a father, a pastor, and a professional. He uses these narratives to reflect on the problem of evil in human life. This volume does not purport to be a comprehensive academic and philosophical tome on the problem of human pain, suffering and evil. Instead, the approach is of one person sharing some personal experiences and theological reflections with family and friends around a coffee table. The difficult experiences include serious accidents, major illnesses, job losses, unexpected deaths and criminal attacks. In the midst of these events, Todd offers no simple answers—apart from the comforting thought that God is always with us no matter what we face and the affirmation that God is good and negative circumstances don’t change that. The stories in this book reveal God’s grace in the midst of hard times. They argue for a Christian faith that says, “Though he slay me, yet I will hope in him” (Job 13:15 NIV) and “If you throw us in the fire, the God we serve can rescue us…But even if he doesn’t, it wouldn’t make a bit of difference…We still wouldn’t serve [the] gods [of this world]” (Daniel 3:16-18, The Message). What would have happened if the Yes side had won the 1995 referendum, separating Quebec from the rest of Canada? 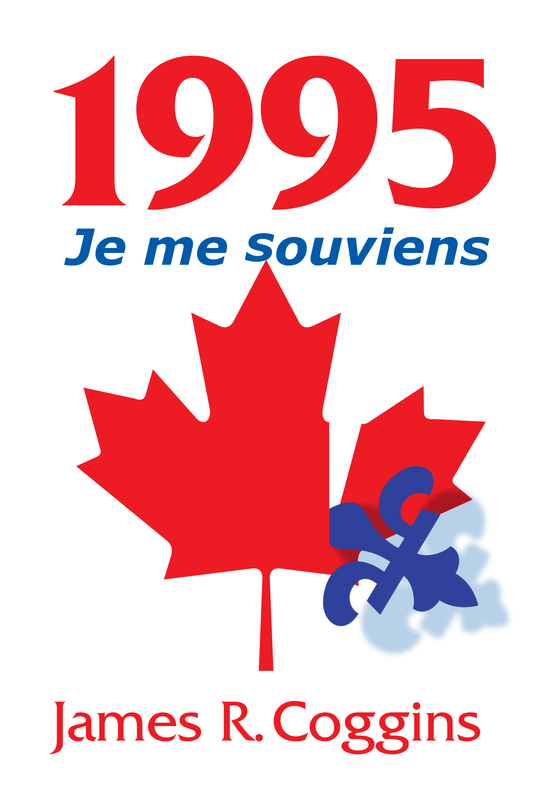 1995: Je me souviens provides one possible answer. In this riveting novel, Jean Tonnerre explains to his son Pierre what conditions and actions made it possible for the Separatists to win that vote and what could have followed as a result. The story focuses on the fate of Jean and eleven other young men deemed “apostles of the new Quebec.” Also described are such events as The Long March to Nowhere, The Time of Random Atrocities, The Unquenchable Fire, and The Advance of the Tanks. The novel explores Canadian socio-political realities and possibilities, but goes beyond them to consider the factors that make it possible for any society to function politically, socially, and economically. In effect, it is a reflection on the human condition. When spring finally arrives in Winnipeg, the residents believe they have earned it. After enduring six months of snow and numbing cold, they look forward to April. Snow gives way to rain. Migrating birds appear. The trees swell in anticipation of new leaves. And the lifeless bodies of young women are discovered lying along the wooded paths next to Assiniboine University. 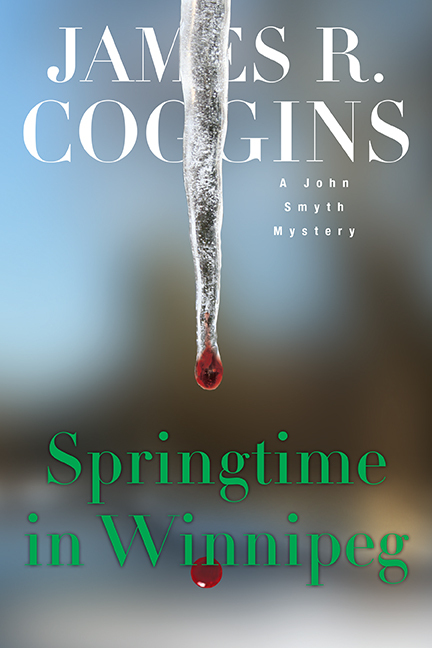 The long-awaited fourth John Smyth mystery skillfully intertwines two elements–an academic discussion of the nature of the mystery novel and an actual murder mystery. When John Smyth, the diminutive editor of a Christian magazine, returns to school to obtain a journalism degree, he encounters a variety of interesting characters. He debates a combative professor who challenges his faith. And, as usual, he can’t help stumbling over a dead body. Visiting Mrs. Morgan is an essential guide for chaplains, pastors, elders, deacons, parish nurses, church members, family members – and anyone else who might have occasion to visit someone who is aging, homebound or in a hospital. The nine chapters creatively address common circumstances visitors are likely to encounter and offer practical suggestions for how visitors might interact with seniors in a way that sensitively expresses care and love. The book can be read by any individual but can also be used as a handbook for a 10-week group discussion. Author Julia Quiring Emblen has had an extensive career in nursing and helped establish BSN programs at Bethel College in Newton, Kansas, and Trinity Western University in Langley, British Columbia. Currently, she oversees a visitation program in her home church.